I can only assume the source of this info was written with the intention of us having already played the delayed Not A Hero RE7 DLC. Oh well, it’s here now, and it’s got all the answers for us regarding Redfield, Umbrella and more. Obviously – spoilers if you haven’t finished RE7 yet. A large pharmaceutical conglomerate. Best known as a pharmaceutical company, the Umbrella Corporation possesses achievements in fields such as genome analysis and anti-virus medicine, yet has also conducted research and development of Bio-Organic Weapons (B.O.W.) for use as weapons. Its motto is “Protecting the health of the people,” which is what the name of the company is derived from. The T-Virus, developed for the purpose of creating immortal soldiers, led to the occurrence of the Raccoon City incident, which in turn revealed the dark side of the company to the masses. Afterwards, confronted with accusations of culpability for the Raccoon City Incident, Umbrella’s stock prices crashed, plunging the company into a period of sustained financial losses. Furthermore, the existence of Umbrella’s illegal B.O.W. research became well-known around the world, thanks testimony from survivors and a considerable amount of physical. As a result, all of Umbrella’s executives were incriminated for the company’s crimes, and in 2003, the company declared bankruptcy. As for the many experimental data and results left by Albert Wesker, they were inspected within the rebuilt Umbrella and it was said to be extremely effective at redeeming most of the Umbrella Corporation’s dark legacy in those days. With no convention to the old system, the “Blue” researchers summed up those research results and conducted development on the premise of mass production, supplying them to anti-biohazard units like the BSAA for testing. If you’re wondering what it’s talking about in regards to Wesker, he stole a ton of Umbrella data at the end of The Umbrella Chronicles and used some of it to help tear the original Umbrella down. This information is what is driving the technology Blue Umbrella is using. Overall, this is a lot to unpack, but the gist seems to be: The original Umbrella Corporation, and all its technology, have been repurposed by the US Government working with the B.S.A.A. to help actively destroy biohazard threats once and for all. The B.S.A.A. never used technology more complicated than regular old military equipment, and this new Blue Umbrella is using actual Umbrella developed anti-BOW technology (like the Albert-01 pistol that kills Eveline in just a handful of shots at the end of Resident Evil 7). However, while Blue Umbrella is working on the side of good, and Chris Redfield (we’ll get to him in a minute) leading the pack, Red Umbrella still exists in the shadows as Umbrella Corps. The Umbrella Corps. are using this new Umbrella’s reputation as a cover for continuing their evil deeds, being led by someone with deep ties to the original Umbrella and who was present for at least most of the conflicts surrounding the Resident Evil universe. 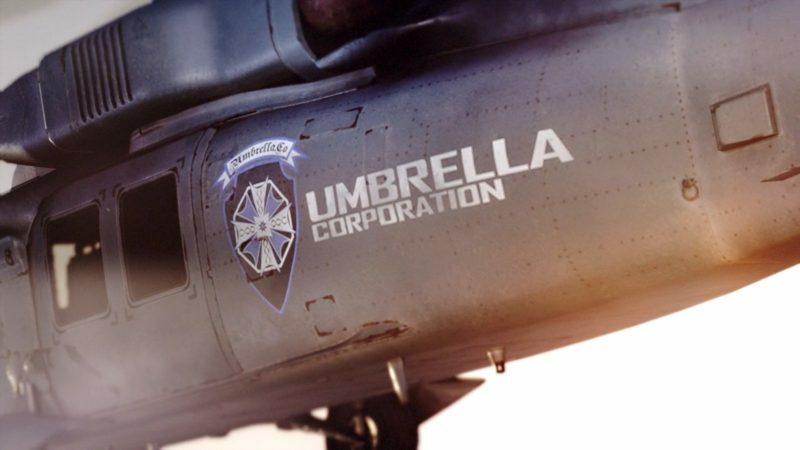 In fact, the only way you would be able to tell the difference between Blue and Red Umbrella is exactly that, the color of the logo (you know, before they start shooting everyone). This will more than likely lead to a conflict at some point between Blue (lead by Chris) and Red (lead by…), and it’s probably the conflict that will be at the heart of the RE universe for the next generation of stories. So, yeah. Real Chris. I’m surprised, especially seeing as Capcom seems to just refuse to use the new model in other projects (especially Marvel vs Capcom where it would have been a perfect opportunity to use his new look), but oh well. 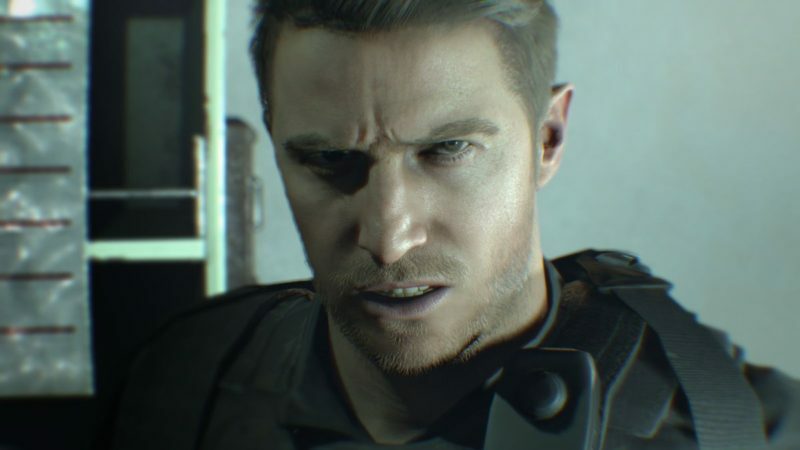 That’s that; it really is the real Chris Redfield at the end of Resident Evil 7, working for Blue Umbrella. This information will all likely feature heavily in the upcoming Not A Hero DLC, which was sadly delayed indefinitely a few weeks ago due to quality concerns. That said, we may also get some information on it in the upcoming Resident Evil: Vendetta, an animated movie taking place just before the events of Resident Evil 7. We’ll keep you updated.